Big companies spend lots of money and effort to build their brands in order to make their products stand out. Apple, Walmart, MacDonald’s -we know who they are and what they do. But what about building your personal brand? Do you have a personal brand that helps you become recognized and can help build your career? Have you any “brand loyalty”? I am one of those who believes that we all have a personal brand whether we consciously created it or not. I think this is especially true as you move some of your life online through social media. But should you consciously create a personal brand? For most people who read my posts, I would say Yes. 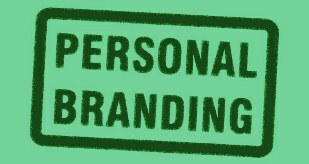 Your personal brand is the summary of what defines us as a distinctive individual, especially online. A solid personal brand can help you when applying for a job, building a business or networking to make new personal connection or “business” connections. I have long advised friends and clients to grab hold of whatever Internet “real estate” is available for themselves. Do you own your name on Twitter, Facebook and other social networks? It’s bad enough if you own a business and you can’t get the user name or domain (URL) for your business, but if you can’t get your own name, that’s bad too. I have a acquaintance who can legitimately be called a celebrity. I had advised her years ago to buy her name as a domain, but she didn’t see the need since she didn’t have a website. Her branding was based on the information online on her employer’s website. When the time came that she did feel the need to have her own site because she had a book coming out, she discovered that someone had bought the name, “parked” it and wanted $25,000 for it. Now, for most of us, no one is that interested in owning our domain. But if your name is fairly common, others may grab it before you. The poet Mark Doty discovered that another Mark Doty had grabbed the coveted .com domain that most people expect will be your place online. He had to settle for markdoty.org. I told that to another poet, Maria Mazziotti Gillan, and she quickly asked me to get her domain and build a website and blog. She wanted to own her name and brand, rather than relying on what turns up in a search – like her inaccurate and incomplete Wikipedia entry. Your personal brand is an investment and you may need to spend some money and time on building it. But it is a lifetime investment and it continues to grow. Like it or not, your personal brand is connected to the perception of others, but you can help construct that image. How would you like others to think of you? What do you want to show up at the top of a search when you put in your name? I wouldn’t use myself as a prime example of great personal branding, but I have been working at it for years. I bought my Ronkowitz.com domain years ago and have bought other domains for separate projects, such as my Poets Online workshop and e-zine. I write on several blogs and I try to connect all of them together and to my name. One quick test is to type your name in a Google or other search. Are the top results your own websites, blogs and properties? Are the results you or some one else? I am pleased that a search on my name turns up at the top the actual me – including my @ronkowitz) on Twitter, some of my presentations on SlideShare, this Ronkowitz.com site and my faculty website at NJIT. That’s a pretty good picture of my brand these days. The term “digital footprint” used to mean the data trail left by our interactions in a digital environment. That includes everything we do on the Internet on any connected devices including phones, tablets and any connected devices like a GPS, smart TV etc. We leave footprints in the world accidentally, but branding should be what we leave intentionally. We might try to cover up or erase some of our footprints as part of polishing our brand. You need to be more mindful of the trail you leave, and also to consciously create an impression that is one who want to show to others, rather than one that has been created for you by web spiders, data trackers, cookies and clever marketing tools.